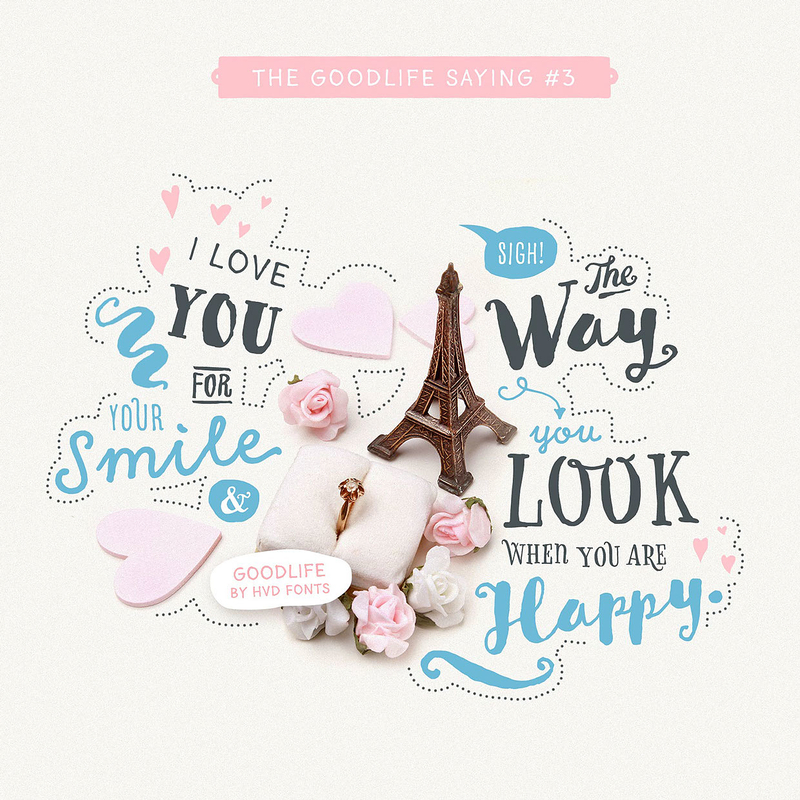 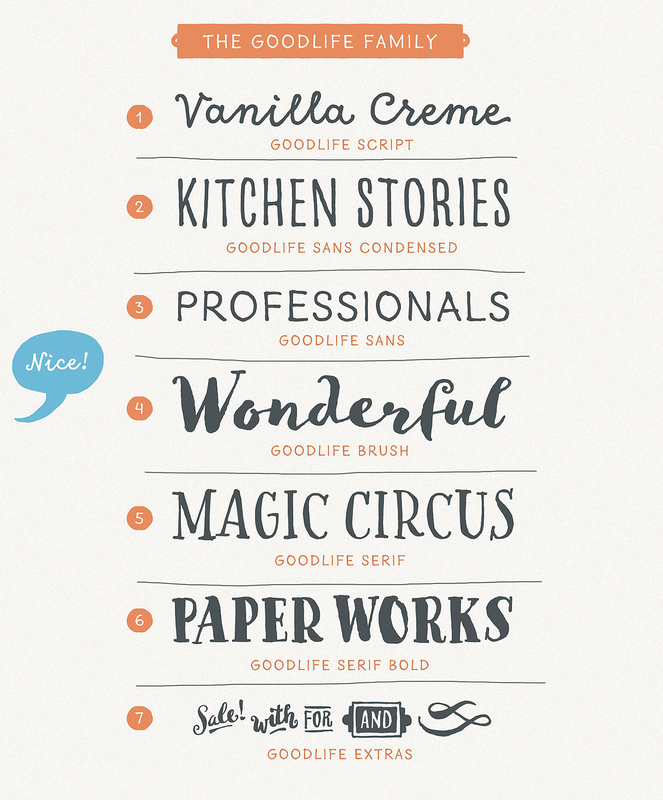 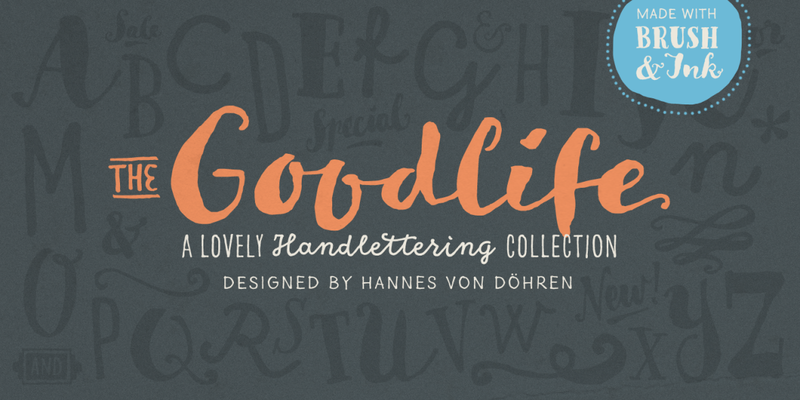 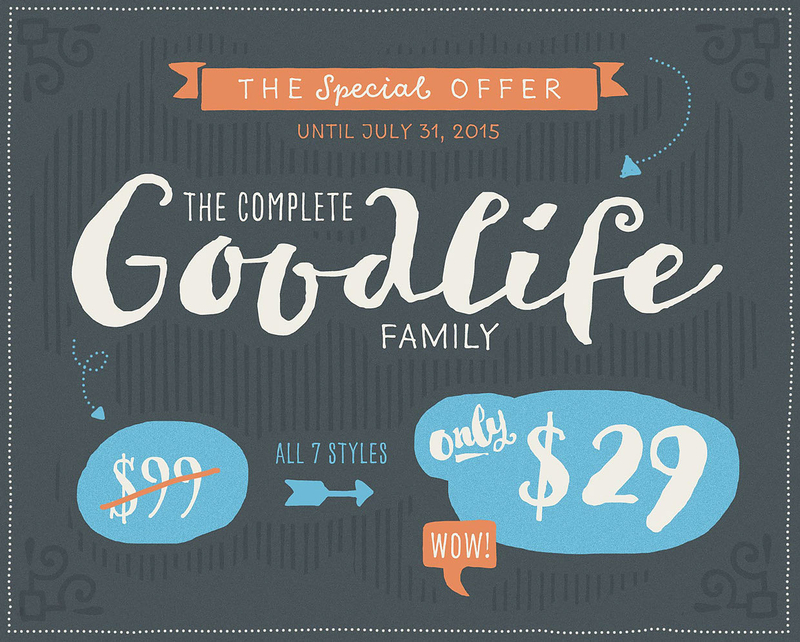 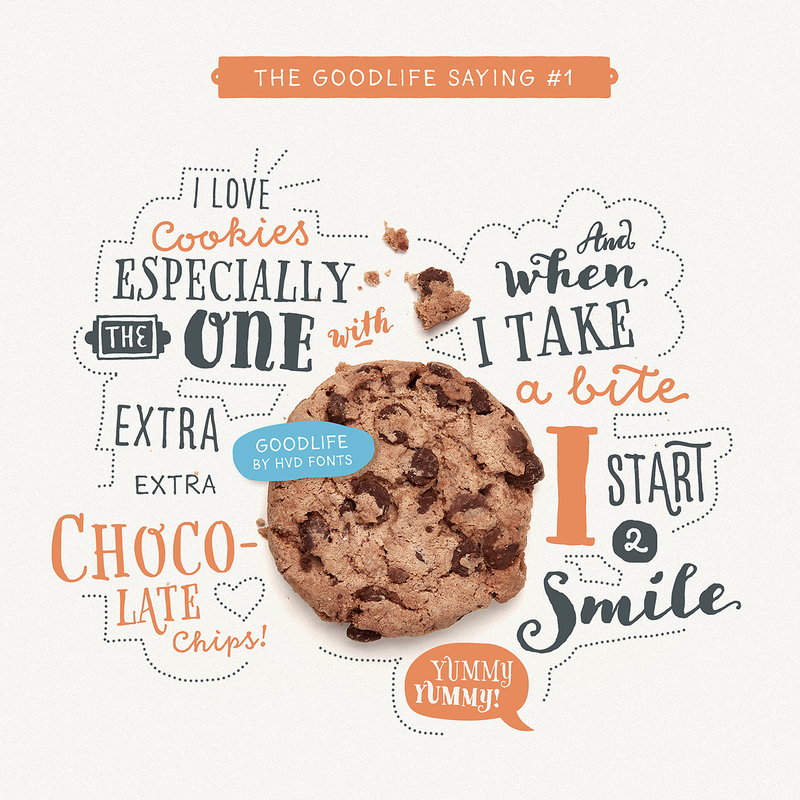 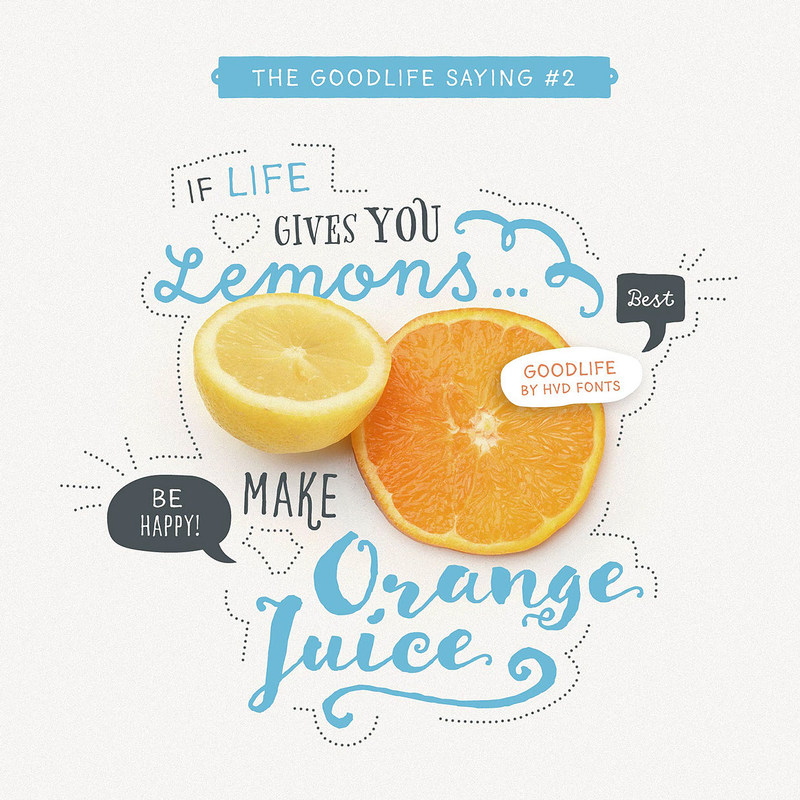 The Goodlife type family is a lovely handlettering collection designed by Hannes von Döhren. 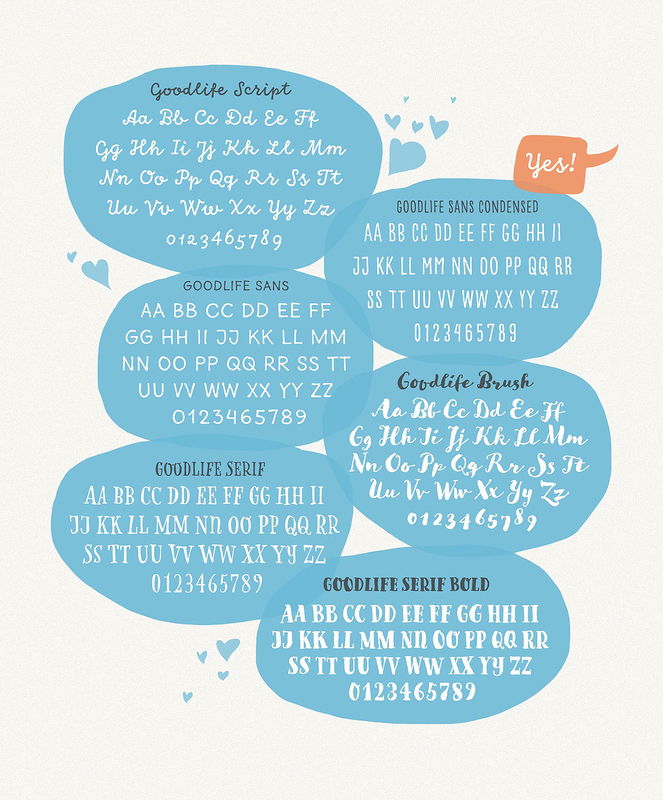 It contains six different hand drawn fonts with loads of features and a set of extras such as catchwords, arrows, ornaments & more. 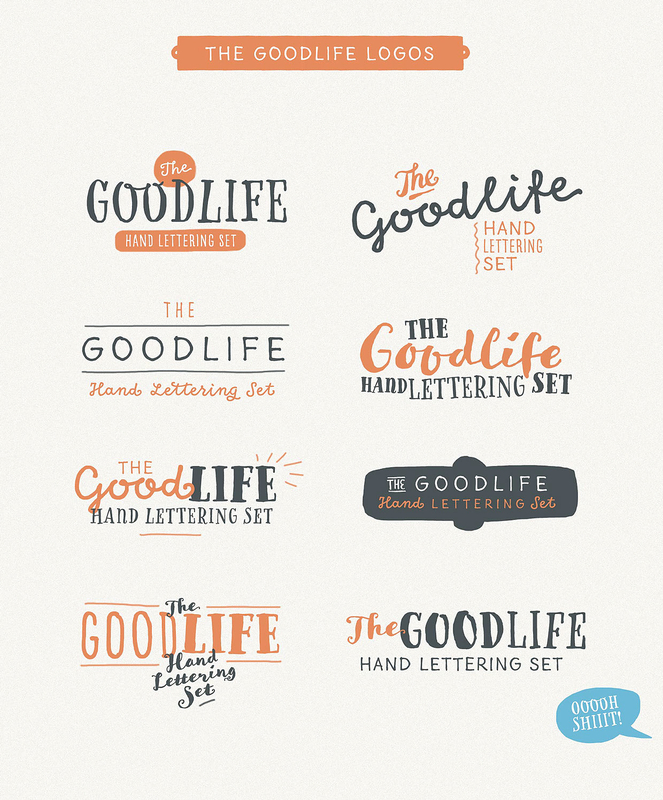 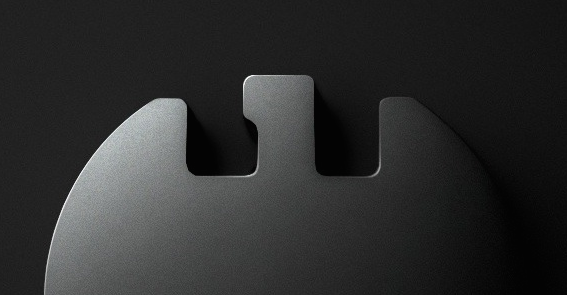 With this set and a little bit of love and care it is possible to create beautiful “handmade” graphics. 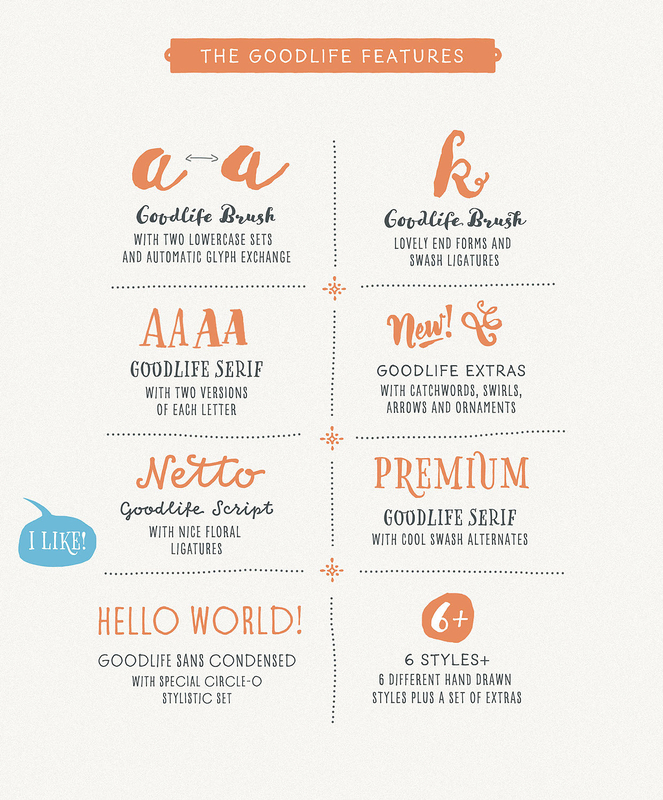 Equipped with automatically exchanging alternates, ligatures, end forms, swash letters and some other features, Goodlife is optimized to feel not just like a font but like true handletterings.